The Home of Hearst Castle! 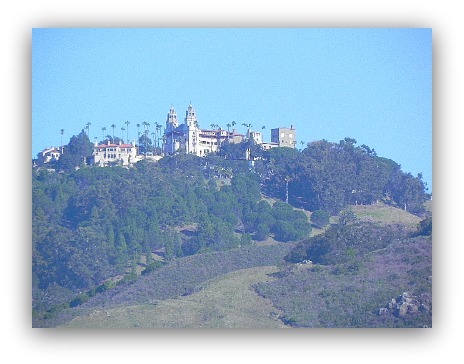 San Simeon - More than a Castle! San Simeon is the home of the famous Hearst Castle the number one attraction for the Central Coast of California. However, this charming little community offers far more than just a castle. The Castle, the ranch and everything involved with the Hearst Castle is spectacular. In fact, next month I am going to sing at a wedding in the castle. My wife and I have many friends who work for the park and it is always a pleasure to visit Mr. Hearst indulgent mansion. If you have never visited the Castle you need to make plans right now to see the mansion. The Cove - Calm Seas! The cove offers a wide variety of things to do. You can walk the beach in search of shells or rent a kayak and paddle through the calm, tranquil waters. You can watch a sail boat drift out of the bay or picnic at one of the many tables in the park. The cove allows dogs on the beach if you have them on a leash. If you have a dog and want to give it a little exercise this is the place to go. There is a secret trail in the bluffs above the beach. As far as we know, only locals are aware of this astounding hike through Eucalyptus trees. The trail leads to the top of a high bluff where you can see the entire coast line. It is a great hike and yields fantastic views. My wife and I love to walk on the long pier and then take a trip to Sebastians for a great burger. If you want to visit Sebastians stay on the service road by the park and you will find the store. If you go say hi to my friend Ian. Tell him Bob sent you and he might give you some free fries. He might not, so don't hold me to that deal. 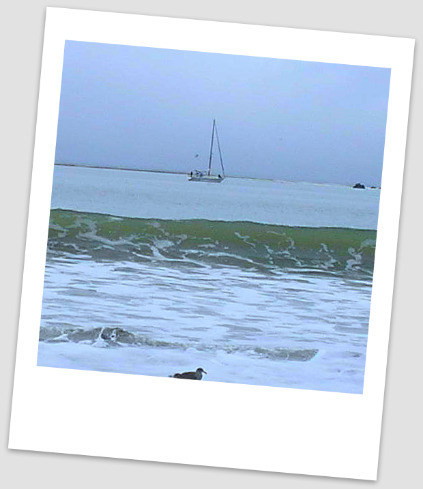 Do like to watch sail boats gently slide through sparkling sea waters? The cove is usually home to several small sail boats.To see the boat either sailing or anchored produces a feeling of peace. The tranquility of the waters invites many visitors who like to wade through the surf, build a sand castle, or just take a long walk. 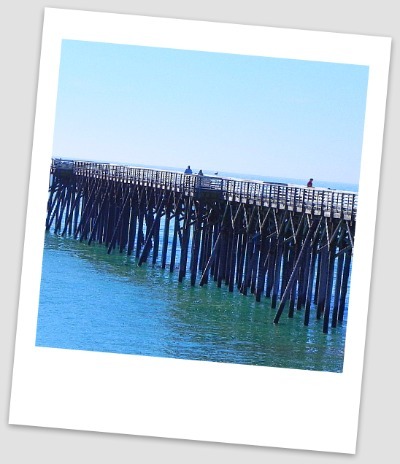 San Simeon is the place to visit on your vacation or day trip to the central coast. My wife and I love piers. This long pier allows us to walk out onto the sea and pretend we are floating along in a sail boat. We have no desire to actually get in a sail boat but it is fun to let our minds drift to younger days. Three Important Things to Know. DO - If you want to take a quit walk? The cove is the place to get away. The cove has a beach, Kayak rentals, a fishing pier and you take a hike through the forest. Did I mention Hearst Castle. How could I forget the number one attraction. The castle is right across the way from the beach. If you don't want to tour the castle you can always go to the visitors center and take a look at the little shops. The actual town is really neat and has a few interesting stores. Nancy, a friend of mine, owns a small store "The Wampum Trading Post". She and her husband sell all sorts of Indian goods. You can find plenty to do in this area. Click on the links below for more information. 2. For information on the Elephant Seals Click Here. 4. To visit the National Geographic Theater Click Here. 5. For information on State Parks Click Here. 6. For information on Kayak rental Click Here. 7. 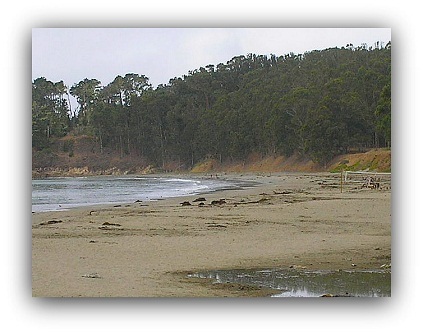 San Simeon State Park - Leffingwell landing Click Here. STAY - The town has a few good motels and a couple of Bed and Breakfast places. San Simeon doesn't have many hotels or motels. If you want to stay in the town you better book your stay way in advance. 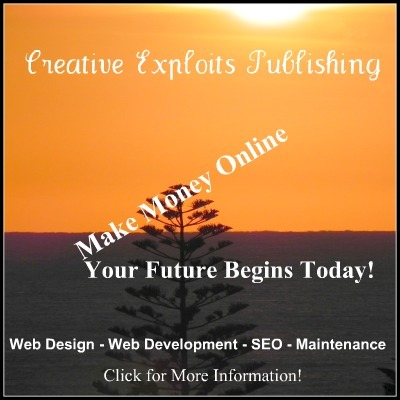 We are providing you a way to do just that. In fact, Kayak can help you book motels, cars, air travel and much more. 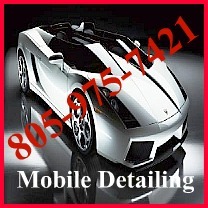 To find the perfect room in San Simeon use the form below. EAT- The cove, like all of the towns on the Central Coast, has a wide selection of menus to choose from. I have a friend who works at the Sebastian's historic, 150 year-old country store. Sebastian's offer wine tasting and according to Ian, my friend, they make the best hamburgers on the coast. If you are not into burgers then you can head a few miles down the road to the town and take your pick of various restaurants. We will offer more information on the food selection in the future. 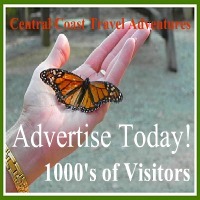 For a list of restaurants San Simeon Click Here. The Wonders of The Sea!